You are about to start a new life……one filled with the promise of happiness and dreams coming true. At Bliss we understand that great excitement! But the weight of expectations and preparation involved can be equally stressful. Making this dream a reality & also to remove the tensions and handle the nerve-wracking details of weddings is what we are here to do. Bliss Wedding is a professional event management and wedding planning company run by the young professionals. 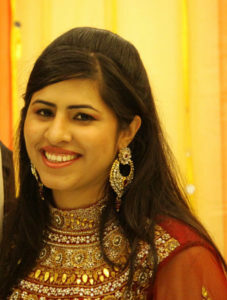 Nidhi Mehta is the owner of Bliss Weddings. She is in this profession since 2007. Armed with vast experience in the field of organizing and conceptualizing weddings. We promises to our customer’s uniqueness, convenience and significant cost savings during planning, coordinating and executing wedding requirements. As a wedding planner, we Plan, Coordinate and Implement the best possible and suitable for our clients. In a few meetings with you, we surmise your likes, dislikes and your vision for your wedding. At Bliss wedding we firmly believe in incorporating your unique style into the wedding planning so that your special day is truly a reflection of your own personal flair. No stone is left unturned in order to keep our clients satisfied. The attention to details, enthusiasm and positive attitude of our experienced team will ensure your event will leave a lasting impression for you & your guests. We ensure the success of the most important ‘event’ of your life… your marriage! !